This strenuious 4 day – 46km hike takes you to one of the most remarkable mountain peaks in South-West Tasmania, Frenchmans Cap. Located in the Franklin-Gordon Wild Rivers National Park, Frenchmans Cap sits high above its surrounds at 1446m. 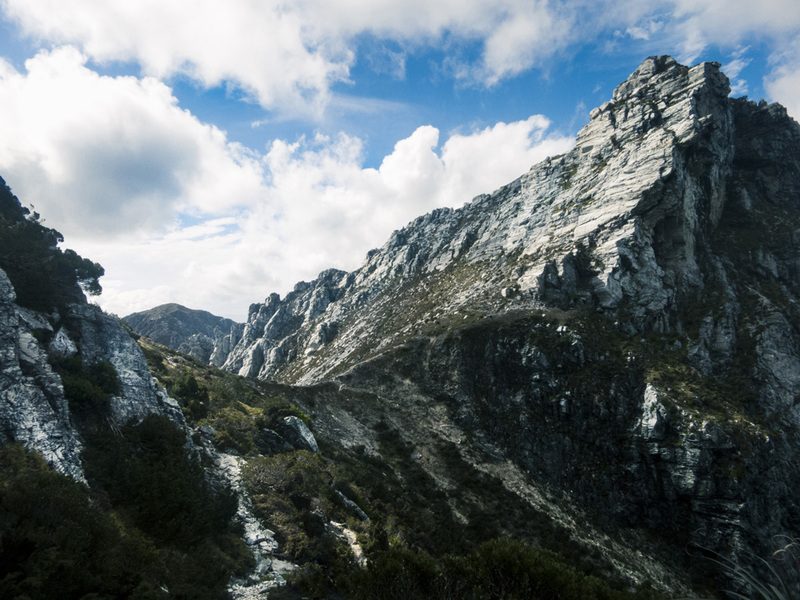 With cabins situated evenly throughout the trail, Frenchmans Cap is a remarkable and accessible remote multi-day hike. The weather at Frenchmans Cap is highly unpredictable; the trail will be wet, muddy and demandingly steep at times. However, with great exertion comes equal reward as the views are astonishing and the intimate geography awe inspiring. The hike can be completed in 3 days, though 4 days is recommended to allow greater chance of clear weather at the summit. 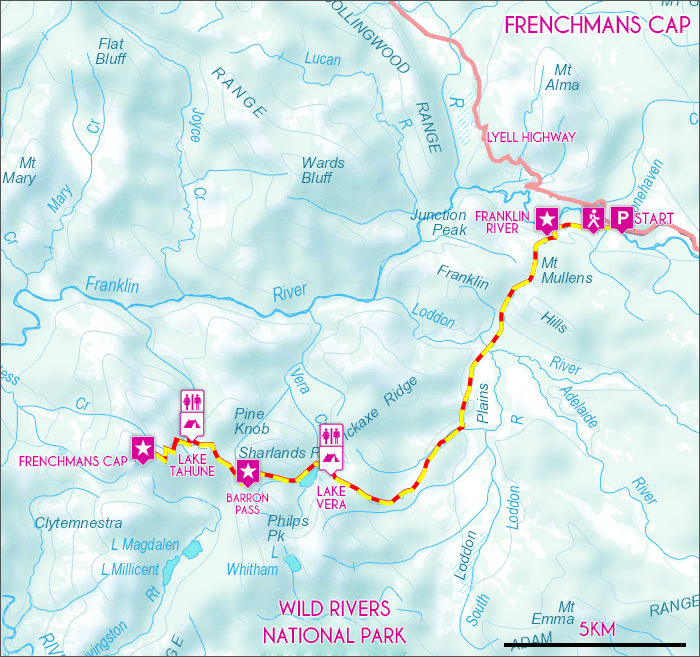 View Google Map Directions The Frenchmans Cap trail head and car park is located on the Lyell Highway (A10) 55km before Queenstown, roughly 200km from Hobart. From Hobart, head north on Brooker Avenue, taking the first exit just before the Bridgewater Bridge onto the Lyell Highway, continue along for 170km. The car park is signposted on the lefthand side of the road, 55km before Queenstown. Driving in towards the trail head along the Lyell Highway you begin to get a sense of the terrain surrounding you, but it isn’t until you’re knee deep in the Sodden Loddens, staring up towards ridges of Pickaxe Ridge and Barron Pass that you discover how truly immersive and ancient this place is. Starting from the Lyell Highway the first few kilometres are easy going. 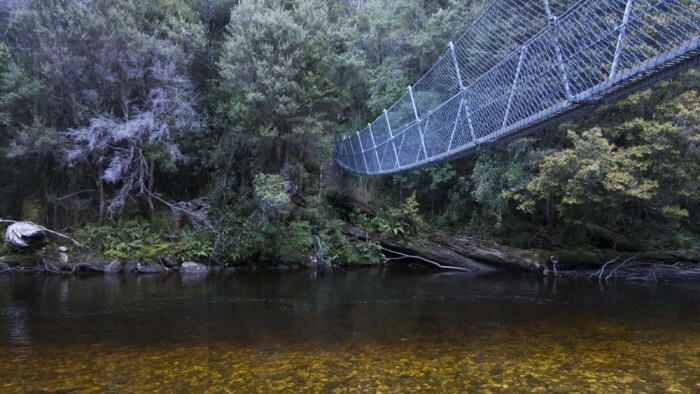 About 500m in, along button grass plains you will cross the beautiful Franklin River via a suspension bridge. The trail then begins to climb gently up the side of Mount Mullens through lush tea tree forests for the next 3km. Once the landscape opens up, views of Frenchmans Cap are first seen, looming another 20km off in the distance. The track then begins a decent down to Loddon River, the second and last river to be crossed on the approach to Frenchmans Cap, via another suspension bridge. After leaving Lodden River the trail gently climbs through the foothills of Pickaxe Ridge via the Laughton’s Lead track. Thanks to recent track upgrades walking conditions here are fantastic. Shortly after the track climbs steeply through dense rainforest to a button grassed saddle before shortly descending again to Lake Vera and its adjacent 20 person cabin. After a muddy 14km, this is the first nights stop, reached in about 6 hours. For those wanting to camp there are camping areas just a short distance down towards the lake. If weather permits, the summit of Frenchmans Cap can be reached on the second day. It is a long day’s hike including many steep and strenuous climbs. Setting off you will skirt the edge of Lake Vera, following it through the neighboring rainforest before beginning the abrupt climb to Barron Pass. After a steep and arduous climb, rising some 400m over 3km you may be excused to lose yourself in the beautiful rainforest surroundings, taking in the mossy overhanging ledges and trickling creeks of crystal water when you are abruptly surprised to find yourself standing at the edge of the rock slide that is Barron Pass, sitting 950m above sea level. Surrounding you are the cliffs of White Needle to your right and Sharlands Peak to your left, reminding you of how small we really are in comparison. Directly ahead of you, standing even more stalwartly is the imposing eastern face of Frenchmans Cap, with its 300m sheer cliff towering out of the landscape. The trail continues on to the north-west just below the jagged ridge line of Sharlands Peak, rising and falling in and out of sheltered forests and windy rock faces. Following the contour of the peak for a few kilometres you descend to lovely Lake Tahune where the second cabin is found, sleeping 16 people. 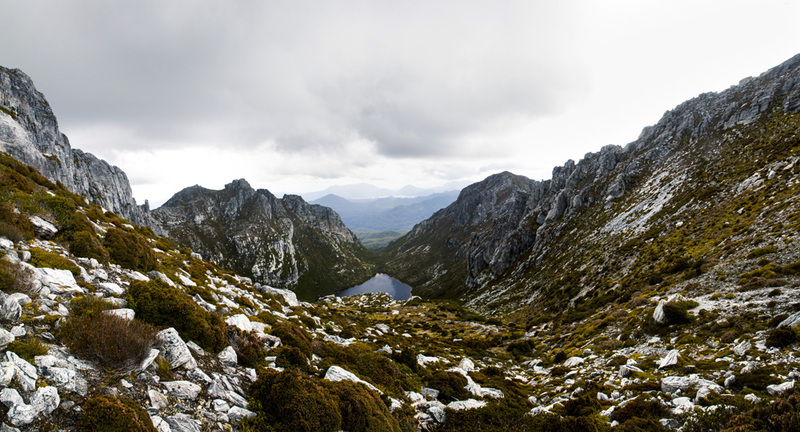 From Lake Tahune, the summit of Frenchmans Cap is only 1.5km away via an awfully steep 450m climb. This final ascent should only be made if the weather is clear enough. It is in no way recommended that the summit climb be attempted in cloud cover. The trail zigzags up the lower sections of Frenchmans Cap, following cairns before the steep and careful climb up the back face of the cap to the summit. 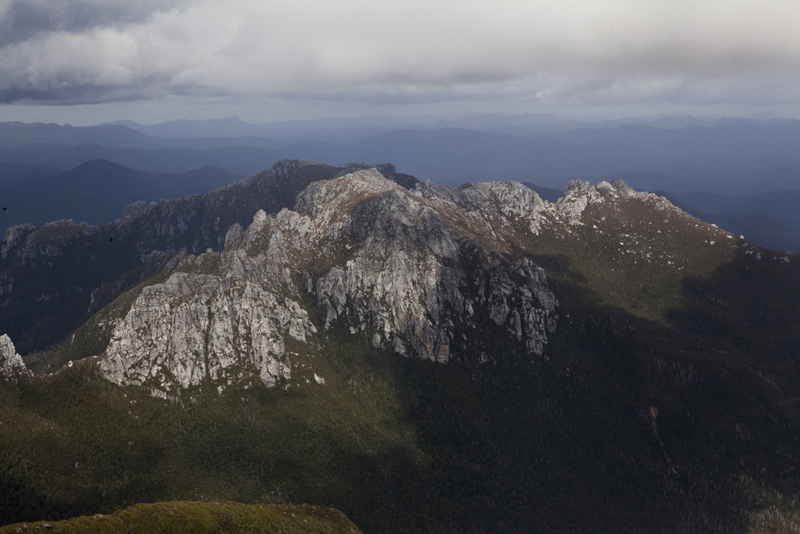 From the top this view is nothing short of incredible with Tasmania’s rugged Wilderness World Heritage Area stretching as far as you can see. Fit and able walkers will be able to return to Lake Vera on the second day if wishing to complete the hike in 3 days. For other hikers it is recommended to stay at the Lake Tahune cabin, returning to the Lyell Highway trail head in 4 days. Frenchmans Cap is a very demanding wilderness walk and should not be attempted by walkers unfamiliar with Tasmania’s unpredictable weather and shouldn’t be attempted in winter months. Temperatures can drop well below freezing and adequate clothing and equipment must be used. Frenchmaps Cap, Wild Rivers National Park.